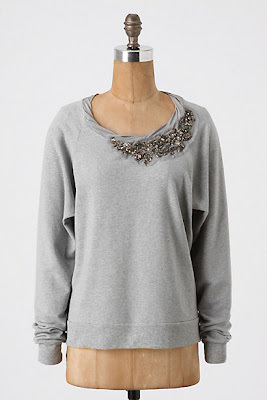 This embellished sweatshirt from Ella Moss was worn by Lucy Hale on the show Pretty Little Liars last year. The top retailed for $138 at Anthropologie and is no longer available. If you missed out on the Ella Moss version, or perhaps just didn't feel like splurging, check out this option from American Eagle. It retails for a more affordable $59.50 (use code 67426581 for 20% off thru 10/25) and also comes in navy. Click on the image below to purchase or for more information.